20"W Load Leveler - WLL 20,000 Lb. 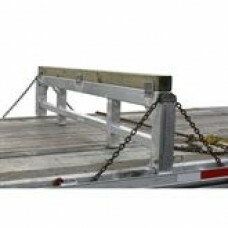 Is used on 102”W Step Deck trailers to create a bridge in the rear to match the height of the front upper deck, which enables drivers to carry item(s) that are trailer length or longer. Depending on the item(s) weight, you made need more than one Load Leveler to properly support the weight. Custom sizes available for all applications and load ratings. 20"W Load Leveler - WLL 20,000 Lb. Take stake and pull out pin. Remove insert from inside, flip it ..